A pipe reducer is the component in the piping system to connect two pipes with different sizes . 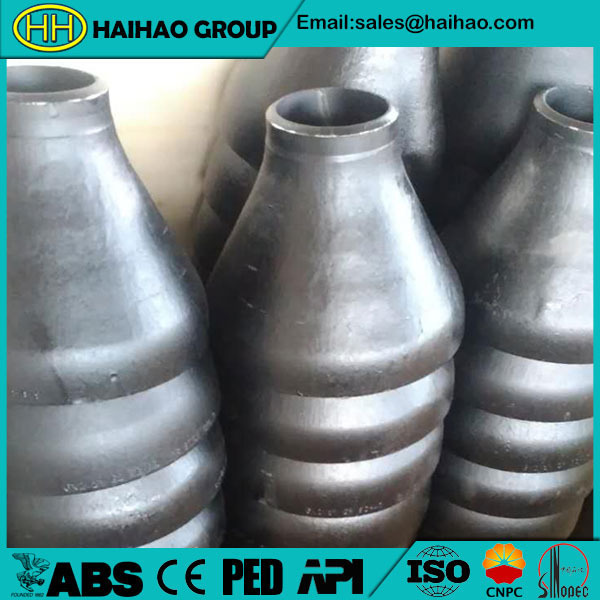 Hebei haihao group mainly manufactures reducer according to GB,HG,ASME,ANSI,API,EN,BS,DIN,JIS,KS,GOST,AS.There are two kinds of pipe reducer: concentric reducer and eccentric reducer. sch10, sch20, sch30, std, sch40, sch60, xs, sch80, sch100,sch120, sch140, sch160, xxs. We as a first class manufacturer of eccentric reducer.We professional make reducer brand for many years.We have our own team and advanced technology to produce.If you have any requirements about the DIN sch10 ST35.8 concentric reducer or other pipe fittings products,welcome to contact us.